One needs to look at the amount to pay on a monthly basis – I think that the benefits of online, offsite backup are pretty clear by now and are articulated in many of our previous blogs. With any decision to use cloud services, there are a lot of “soft” issues that need to be determined and answered before one makes a decision on which service provider to use for offsite backup. 1. What is the pricing model and cost? How am I charged for the service, is it a monthly charge? Is it free? Are there any hidden costs? Typically, offsite backup is charged on the amount of data stored offsite at the service provider’s data centre. 2. What are the services offered? 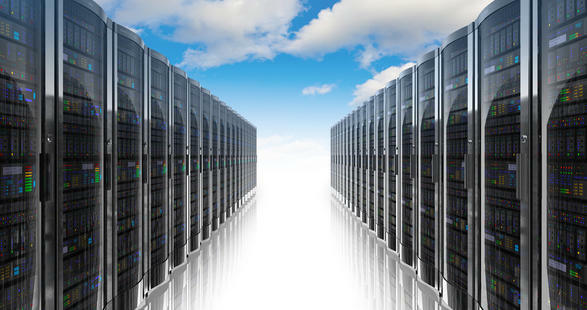 Many people are of the opinion that offsite backup is the same with every service provider. In reality, this couldn’t be further from the truth. There are a lot of differences between offerings, primarily the level of support received. Can I call or email for technical support? Do I get installation assistance? When I need to restore data, am I on my own or is there someone to help me? 3. Where is my offsite backup data stored? With the cloud, it is often difficult to know where one’s offsite backup data actually resides. This is an important question. In certain countries, like Australia, it is law that backups must reside in Australia. This is also important in terms of speed of restoration. We recommend that the data should be in the country of the company backing it up. 4. Does the provider offer the flexibility of a short-term agreement? With cloud services it is important to be able to move to a new provider should it prove that the current one is unreliable or unsafe. We do not believe in tying people up in long term contracts and a maximum of one month’s notice to change services should be sufficient. 5. How long has the offsite backup provider been in business? While not wanting to cut new entrants out of the market, industry experience is important. Remember, your data is a critical element of your business and should be entrusted to a company that has a solid, long-term record in the market. 6. Is the offsite backup provider a well-known name? A well-known name and brand is important in terms of predictability, reliability and consistency. A company that is known in the market will have been in the market for a long time and will have established either a good or bad reputation. Find out all you can about the company. 7. What does the provider offer in terms of physical and systems security? Where and how your data is stored when using offsite backup services is important. What is the status of the data centre? Is it the provider’s garage or is it a premium data centre with all the facilities of reliable power, fire protection, generators and bandwidth? How is my data stored? Is it encrypted with an encryption key provided by me and password protected? Is it transmitted over the wire in an encrypted state? What are the firewall and server protection strategies of the offsite backup provider? 8. I need to restore data as it was 3 weeks ago – Can I do this? This is an important question and determines whether the offsite backup provider stores “generations” of data. In many cases, (which we have outlined in previous blogs) our customers have used this feature to recover from data corruptions; to discover or uncover employee fraud; and also simply to recover data from the previous month’s end. 9. I have the need to backup a large amount of data, how do I send the 1st backup through as I do not want to use all my bandwidth? It is important that your offsite backup provider offers a snapshot backup. This means that the backup software enables a 1st backup to disk which is couriered to the service provider and then subsequently daily backups are run for the changes on a daily basis. 10. I urgently need to restore my data, but it is too large to send over the Internet, what do I do? If your offsite backup provider can’t tick all of these boxes, we suggest finding one who can.